In Northern Michigan you have to find a way to get out in the sub zero temperatures and get some exercise November-April. 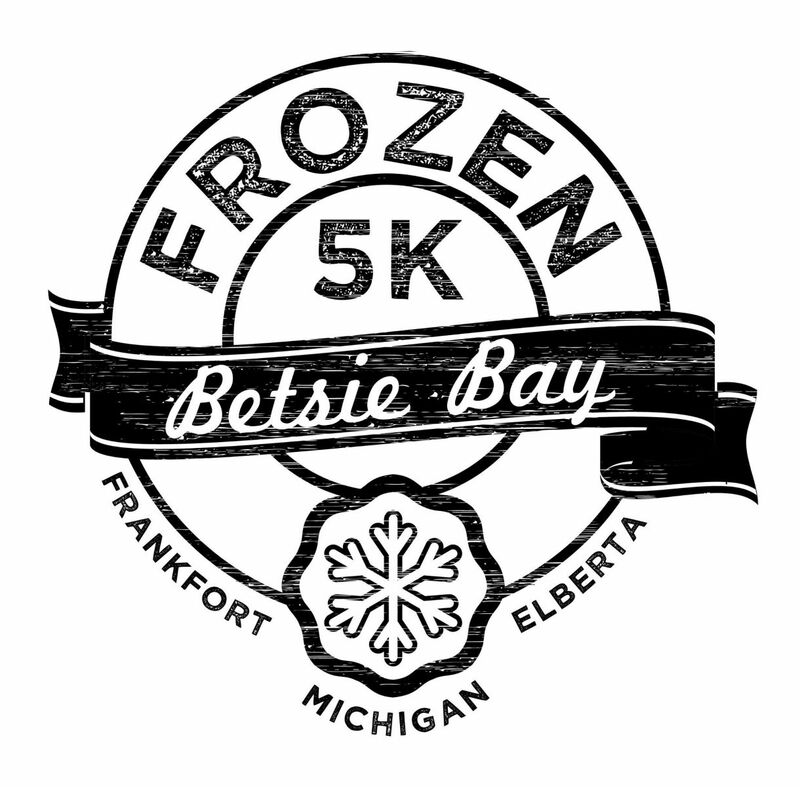 Why not celebrate halfway through winter by running the Betsie Bay Frozen 5K on Saturday, February 21st? Snow or shine, runners will start the the top of Elberta's lookout of Lake Michigan, follow the road into Elberta and make their way around Betsie Bay into downtown Frankfort. Runners will be delighted to find the race finishes right in front of Stormcloud Brewing Company. MMMM morning brews! Runners are also encouraged to bring their canine buddies as well and our friend Val at Woofers on the Run will be supplying tasty goodies for the dogs. This will be Byte Productions first year sponsoring this amazing running event which supports clean water projects locally and globally. Registration can be found online at https://events.bytepro.net/betsie-bay. Register as early as possible because there will only be 200 spots available. Plus, registration is only $15 (and includes and awesome tee)! 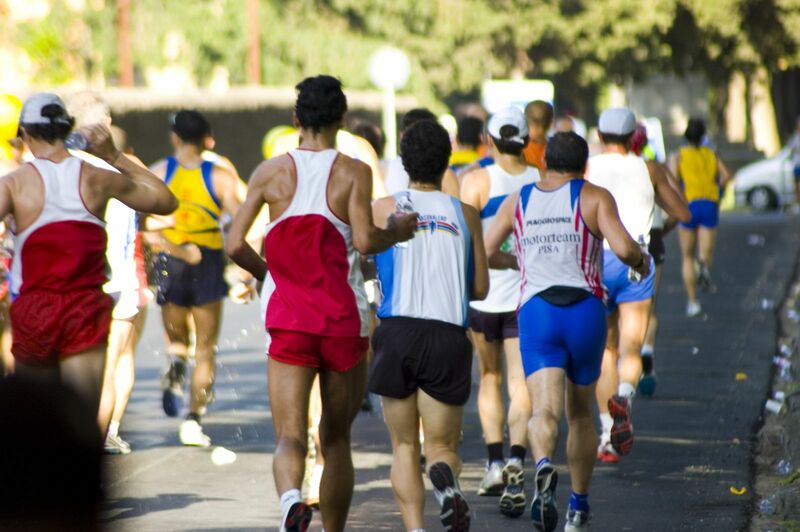 Are you a race director who is promoting a running event in 2015? Get an extra FREE marketing boost by featuring yourself in the print and online edition of Michigan Runner magainze. This magaine is published every other month and features great articles about Michigan runners and also a list of events by date. To ensure your event is listed, send the following information to Michigan Runner by email, FAX or mail. Event date, event title, city, starting time, location, distances, website, contact name, phone, email, mailing address, city, state. The 7th Annual Traverse City Turkey Trot for Charities is only 4 days away and Byte Productions is honored to be apart of the family-friendly run/walk again this year. With online registration closing tomorrow, November 25th at noon. We will be able to start assembling packets and preparing Thirlby Field for the Trot. This year, was my first year on the board for the Turkey Trot and I found it was amazing just how much time and effort goes into planning this race. So many organizations donate their time, money and goods to make Thanksgiving morning special for so many families throughout Traverse City. If you haven't registered yet, now is the time to do so. You can now register now at https://events.bytepro.net/TraverseCityTurkeyTrotforCharity2014. Registration can also be done at the door at packet pick-up Wednesday, November 26th 5-7pm or Thanksgiving morning 7:30-8:30am at an increased rate. The 2nd Annual Here's Mud In Your Eye will be held at Timber Ridge next Saturday, September 27th at 12pm. Last year, Byte sponsored an obstacle at the event that had racers climbing hills and sliding into ice cold water. Sue, Amy, Tim & Ken were all there along with special guests Darth Vader and Chewbacca (shown in photo). This year, we will be involved by pouring beer to thirsty racers post race and we think this is the perfect job for our team. The 2nd Annual Here's Mud In Your Eye will feature new, exciting obstacles and opportunities to compete not only as an indivudal but also as a duo or team. Registration will be open until Thursday, September 25th at noon. So be sure to grab some friends and register early. 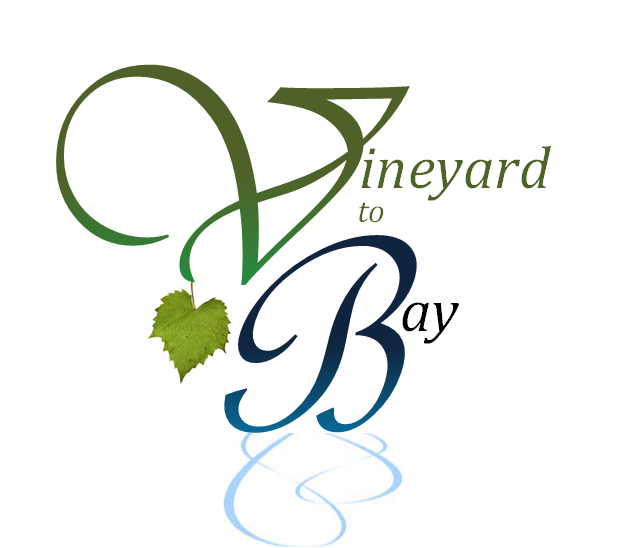 The Vineyard to Bay 25K, relay & fun run 5K happened yesterday in beautiful Leelanau County. Our friends at Endurance Evolution supplied timing at the event and byteEvents provided online registration. Calling all kayaks, SUPs & canoes! RaceTC is hosting another great water sport event in Traverse City, MI. 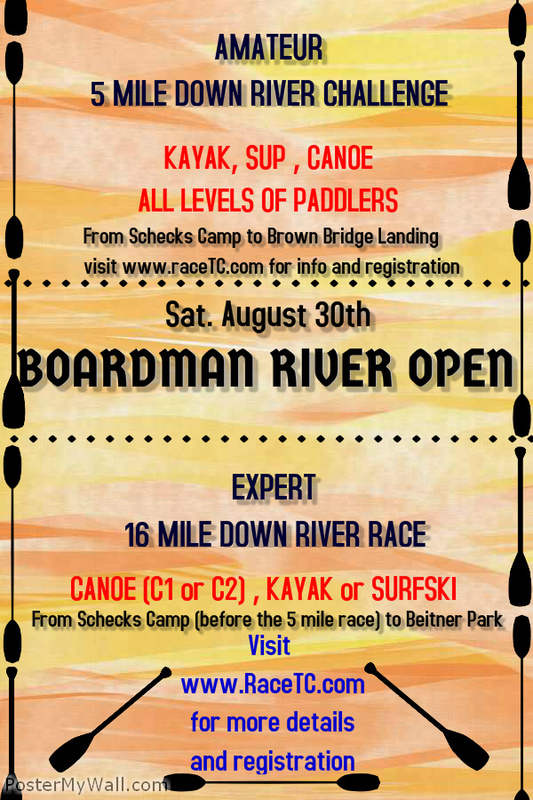 The Boardman River Open will feature two courses, a 5 mile down river challenge for beginners from Schoecks Camp to Brown Bridge Landing and a 16 mile down river race for experts which ends in Beitner Park. Race date is Saturday, August 30th at 8 am. Pre-register online to secure a t-shirt at race day. For more information, visit RaceTC.com. The website will help you determine which class you should compete in and answer many of the questions you may have if you are participating in a RACETC event for the first time. Many of our followers have asked if the Suttons Bay Floatilla will happen again this year. Because the Guinness World Record was broken last year, there will be no event until a competing city breaks the Suttons Bay record. If you participated last year in Floatilla and had a blast, the Boardman River Open is a great way to get out on your canoe, kayak or SUP Labor Day weekend in Traverse City. 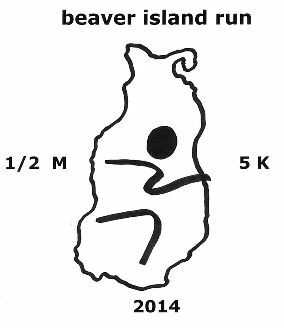 The Beaver Island half marathon will cover the 13.1 miles over a variety of surfaces and beautifully changing scenery. The course will start downtown at Paradise Bay near the Beaver Island Ferry dock and head south along the paved Kings Highway. This will give way to a turn to the west on a good gravel road coursing around beautiful Barney’s Lake. Near the half way mark the course changes to wonderful trail through the woods finally coming out along the west side of the island running with Lk. Michigan on your left. This gravel road will bring you back east along Font Lake before reaching town. The last portion of the run will be back on paved road through town along Paradise Bay back to the start/finish. 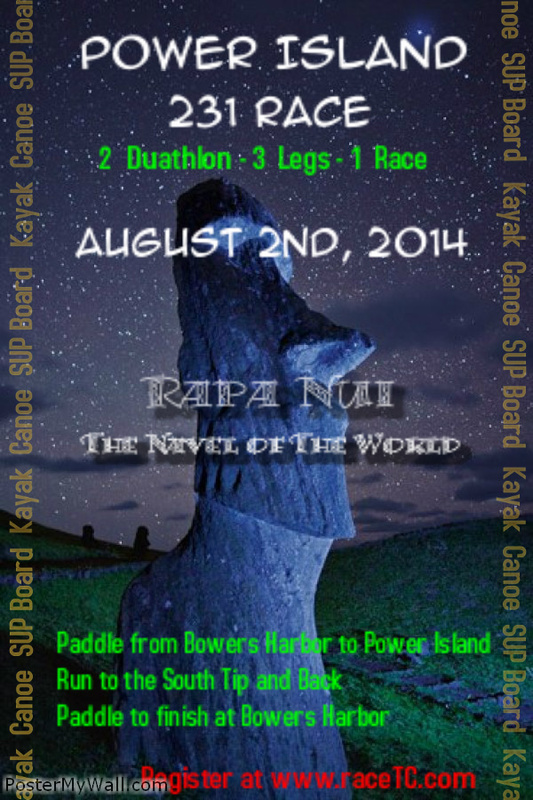 RaceTC's Power Island RAPA NUI race happened this past Saturday, August 2nd. Racers paddled from Bower's Harbor to Power Island, ran to the south tip of the island and back, then continued to paddle back to Bower's Harbor. This was RaceTC's second race of the summer, the first being the Paddle Across West Bay in June. Race Director Daniel Novak hopes to make these annual events for SUP, kayak and canoe enthusiasts. Here are the race results from the Power Island RAPA NUI. The Meijer Festival of Races 5K, 10K, 15K & half marathon took place on Saturday with over 2900 racers participating. Results have been published and you can find them at http://results.xacte.com/?mid=433. Thanks to everyone who participated in this race and look forward to having you sign-up through Byte again next year! Our friends at Up North Media who host popular Traverse City events such as the Traverse City Turkey Trot & Here's Mud In Your Eye 5K are hosting a new youth only triathlon taking place right here in Northern Michigan. The event will take place on Saturday, September 6th at 8 am and host two age cateogories, 12 & under as well as 13-18 and all of the events will be held at the Grand Traverse County Civic Center. The Traverse City Youth Triathlon will benefit TCAPS and is open to any registrant with a helmet and the abilty to swim without assistance. This will be the perfect event for any child looking to compete on a new and exciting level! Please spread the word and let parents of young athletes know about this upcoming event. Cost is $30 online, $40 day of. More information can be found at www.upnmedia.com.